The January/February 2004 issue of Zion's Herald published a special report on the activities of the Washington "think tank," the Institute on Religion and Democracy (IRD). It documented that The United Methodist Church (UMC), other mainline Protestant denominations, as well as the National Council of Churches of Christ have been the targets of an orchestrated attack by determined right-wing ideologues since 1981 (Weaver and Seibert, 2004a). IRD has relentlessly used unethical propaganda methods to carry out the radical political agenda of a handful of secular benefactors opposed to the churches' historic social witness (Weaver and Seibert, 2004b).This is particularly true of Mark Tooley, director of its UMAction arm, who worked for the CIA for 8 years immediately preceding being hired by IRD (UMACTION, 2003). In 1996, in a characteristically misleading fundraising letter, Tooley claimed that the UMC was supporting "Marxist guerrilla movements in Central America, violent revolution in southern Africa, halting U.S. defense programs, government-funded abortion, expanding the role of the federal government in the lives of ordinary Americans." He then asked, "Did membership in the United Methodist Church require loyalty to a political program of the far left?" Dr. John M. Swomley, Emeritus Professor of Social Ethics at St. Paul School of Theology in Kansas City, Missouri, observes that "Tooley, did not -- and could not -- document any of these assertions" (Swomley, 1996). IRD and its allies' use of right-wing nonreligious foundation money to smear liberal church leaders through mailings, articles in IRD-aligned publications, press releases, and stories in secular newspapers and magazines has more in common with a CIA Third World destabilization campaign than ordinary civilized debate (Smith, 2004). IRD's patrons include the Bradley Foundation (with long-time family connections to the John Birch Society), the Smith Richardson Foundation, the John M. Olin Foundation and ultra-conservative, Adolph Coors, Richard Mellon Scaife and Howard Ahmanson (Blumenthal, 2004; Cooperman, 2003; Howell, 1995; 2003; Media Transparency, 2004). Howard Ahmanson (whose wife, Roberta, serves on the IRD board of directors) has been a major financial backer of Christian Reconstructionism, a movement that works to replace American democracy with a fundamentalist theocracy (Robinson, 2002). minimum-wage laws and Social Security for younger workers would be eliminated; most old-age security would be covered by personal retirement plans or by care from adult children; and the federal government would play absolutely no part in regulating businesses, public education or welfare....all inheritance and gift taxes would be abolished, while income taxes would be no more than 10 percent of gross income (and then only until government was shrunk further). Gleaning for the poor on private farms after harvesting would be encouraged (Shupe, 1989). The article in Zion's Herald explained the interlocking relationships between IRD and other self-styled "renewal" groups in the UMC, like Good News and the Confessing Movement, and how they amplify the distortions emanating from IRD by regularly publishing its misrepresentations about church leaders and programs (Weaver, and Seibert, 2004a; b). IRD and its cohorts' underlying strategy is to delegitimize existing leadership in the eyes of church members, thereby fomenting a hostile takeover of mainline denominations (Institute on Religion and Democracy, 2001; Goodstein and Kirkpatrick, 2004; Howell, 2003). In August of 2004 two of the authors sent email copies of the documented research on IRD and the right-wing attack on our church to several thousand UMC leaders. Dozens of expressions of appreciation for the work were received from all over the U.S. There were also a few angry replies. By far the most hostile response came from the then chair of the board of Good News, Rev. Scott Field, senior minister at Wheatland Salem United Methodist Church in Naperville, Illinois. He is also a designated spokesperson for the Confessing Movement (Confessing Movement Speakers Bureau, 2004). The "Brother Howell" to whom he refers to is the respected journalist, long-time editor of Christianity and Crisis and author of the well researched and highly documented UMC@Risk: A Wake Up Call, written about the right-wing attack on the UMC (Howell, 2003). We are not the only persons with whom Rev. Field has disagreed at whom he has lashed out. 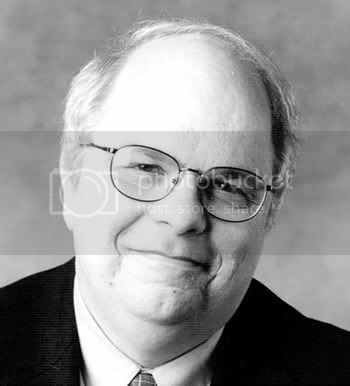 Before the 2004 UM General Conference in Pittsburgh, where he was "floor general" (as he was at the 2000 General Conference) for right-wing groups, including IRD, Good News and the Confessing Movement (Skinner, 2004), Rev. Field called those who disagreed with him "renegades and vigilantes making up their own rules" (Eckstrom, 2004). Despite the overwhelming vote for unity at the end of the 2004 General Conference, 869 to 41, Rev. Field, the Good News board, and IRD continue to actively advocate and work for schism in the UMC. According to Christianity Today, during the conference's final session, "after almost 1,000 delegates stood, held hands, and sang, `Blest be the Tie that Binds,' Rev. Fields, not an elected delegate, tried to down-play the call for unity and cooperation at General Conference" (Rutledge, 2004). He observed that the desire for unity "was understandable" saying, "When the institution is threatened, everyone dives to the middle." However, he added "I think there is tremendous resonance [for separation talks] among folks in local churches." Christianity Today reported that at General Conference after the unity vote "both Field and Heidinger (president of Good News) agreed that institutional separation is all but inevitable" (Rutledge, 2004). True to their word, Rev. Field and Good News, along with IRD, whom they refer to as their "friends" (Good News Editorial Team, 2004), have continued to spearhead a call to implement options for schism that they judge has already occurred. This is revealed in a document entitled "Options for the Future" published by Good News shortly after the 2004 General Conference. In the pronouncement Rev. Field and colleagues lay out options for how to split if not outright shred the UMC (Dicken, Field, Granger, and Lambrecht, 2004). These Good News leaders, including the present and two past chairs of the board, question whether continued "support of United Methodism is [any longer] a faithful response to the call of Christ" either for them personally or the UMC members in the congregations where they are appointed to serve (Dicken, Field, Granger, and Lambrecht, 2004). The right-wing "options for the future" of the UMC include: 1) a continuation of current "renewal" attack strategies to form a dominant party in the church that can force the departure of those with whom they disagree through General Conference legislation and/or "loyalty oaths" that would supersede UM membership and ordination vows; 2) work for a bifurcated church by dismantling the historic structures in the denomination, thereby separating "Good News" followers from other baptized Christians with whom they disagree, while continuing to be United Methodism in name only; 3) the immediate restructuring of United Methodism as a "high-expectation covenant community," which has the same result as option 1, requiring those who do not conform to the "renewed covenant" to leave; and 4) structural divisions of United Methodism through either "amicable separation" or "voluntary departure" (Dicken, Field, Granger, and Lambrecht, 2004). In "amicable separation," the UMC ceases to exist and individuals and congregations get to choose a new denomination of preference, clearing room for the division of properties, pensions and finances. The second scenario, "voluntary departure," offers the option for a church group to leave, most likely without property, pensions or finances. ("voluntary departure" is the IRD preference for the folks with whom they disagree) (Tooley, 2004). Any one of these options would destroy the UMC. They suggest several "tactics" to gain power to promote these goals, including redirection of funds and the threat of withdrawal of fellowship. They counsel that "redirection of funds" by local congregations is "essentially a pressure tactic, designed to pressure the denomination into taking steps that the congregation demands." They go on to say, "In order to be effective, there needs to be a substantial number of congregations taking this step in unison" (Dicken, Field, Granger, and Lambrecht, 2004). They also advise, "Withdrawal of fellowship is another, similar tactic, whereby the congregation states it is out of fellowship (or communion) with a certain portion of the denomination. Like the redirection of funds, this is a pressure tactic designed as a means to another end. Most commonly, it is a prelude to separation" (Dicken, Field, Granger, and Lambrecht, 2004). Rev. Field and his cohorts argue that networking with groups like Good News and the Confessing Movement "is a necessary prelude to most of the options...." However, it is acutely ironic that Good News -- incorporated in 1967 as "A Forum for Scriptural Christianity" -- would draw up and promote a 5,000 word plan for sedition using hardball power tactics in the Body of Christ without one word of Biblical justification (Dicken, Field, Granger, and Lambrecht, 2004). For a number of years, Rev. Field has been practicing what he preaches when it comes to defunding The United Methodist Church. Under Rev. Field's leadership between 1998 and 2003, his church in suburban Chicago paid only an average of 56% of its apportionments -- and in 2003 that figure was a mere 31% (Northern Illinois Conference, 1998-2003). It was in arrears in its apportionments nearly a quarter of a million dollars - ($247,786) in the 6 years. During the same time Rev. Field's compensation was paid in full to the tune of $431,477. Moreover in the same 6 years, Rev. Field's church paid $605,634 to causes outside the United Methodist connection. (Northern Illinois Conference, 1998-2003). These included missionaries sponsored by Ambassadors for Christ International headquartered in Tucker, Georgia (a group that teaches Biblical "inerrancy in the original writings") and the Good News endorsed non-UMC organization, Mission Society for United Methodists, based in Norcross, Georgia (Wheatland Salem United Methodist Church, 2004). Rev. Philip Granger, the president and CEO of the unauthorized Mission Society, as well as the chair of the Good News board immediately prior to Rev. Field, is a co-author of the proposal to dismantle the UMC. A third author of "Options for the Future," Rev. Tom Lambrecht, pastor of Faith Community United Methodist Church in Greenville, Wisconsin, was vice-chair of the Good News board until he assumed full board leadership in January 2005 (Dicken, Field, Granger, and Lambrecht, 2004). The fourth and lead author of the declaration is Rev. Mark Dicken of Clarksvillie, Indiana, who practiced law prior to entering ordained ministry (Dicken, 1998). Strategies proposed by Good News and IRD to dismantle the UMC have been in the works for years prior to the current "options" scheme. One proposal would defund the UMC seminaries (Institute on Religion and Democracy, 2004). Good News and IRD advocated for a seminary "voucher" system at the 2004 General Conference that would drain money from the UMC seminaries (Field, 2004). According to the Association of United Methodist Theological Seminaries representing all 13 UMC theological schools, the "voucher" scheme would significantly damage 12 of our schools of theology and out-right destroy our only predominantly African-American seminary, Gammon Theological Seminary in Atlanta (Henderson, 2003). It is noteworthy that Mark Tooley, a long-time board member of Good News, while speaking for IRD said in June of 2001 that our UMC seminaries need to be "reigned in" (People for the American Way, 2001). He went on to say that if "radical" UMC seminaries do not conform to IRD expectations, "church reformers" should work harder toward "cutting them loose from any affiliation with our church." The "voucher plan" that Good News and IRD are striving to implement would be a mechanism to do just that. What is more, if all the UM clergy follow Rev. Field's example as church leaders and pay only 56% of their apportionments, it could rapidly close down all UMC Seminaries and Africa University for starters. The renowned Wesley scholar, Albert C. Outler, told memorable stories in class. One of his favorites was about a letter the president of Southern Methodist University, Willis Tate, had received from a United Methodist mother in a small east Texas town. Her son was enrolled for the fall term and she wrote that she was concerned that he have a college roommate who could set a good example for him. She did not want her son to be exposed to bad influences, such as rough language or the distraction of girls who might lead him astray. At the end was a postscript, "The reason I am writing you is that this is the first time my boy has been away from home, except for the three years he spent in the U.S. Marines." Those of us who are concerned for the welfare of the UMC which has nurtured generations of Americans in the Christian faith need to stop being as naïve as the mother in Dr. Outler's story. We must be alert and steadfast when people are willing to advocate and use hardball political tactics to dismantle our historic, mainline denomination and connection of churches across the world. These people are deadly serious and determined. The Bible is clear that we must protect the sheep from wolves that would devour them and Christ warns us about false prophets. 15 Watch out for false prophets. They come to you in sheep clothing, but inwardly they are ferocious wolves. 16 By their fruit you will recognize them. Do people pick grapes from thornbushes, or figs from thistles? We need to pray without ceasing for our brothers in Christ who have lost their way and believe that one must destroy our church to save it. Warlike tactics and calls for schism are to be rebuked, as Philip Otterbein and John Wesley did in their time. In (his sermon) "On Schism" Wesley warns that hostile contention within the church is contrary to God's commands, violates the meaning of Christian love, and creates a stumbling block for the world. He warns: "O beware, I will not say of forming, but of countenancing or abetting any parties in a Christian society!" Echoing Jesus, Wesley writes, "Happy is he who attains the character of peacemaker in the church of God." (Carter, 2005). We must have the clear-eyed resolve to resist these tactics for the sake of those who will come after us. The next generation of souls will need the Christian witness and power of the Holy Spirit that is found in the United Methodist Church, and they need our faithfulness now. Andrew J. Weaver, M.Th., Ph.D., is a United Methodist pastor, clinical psychologist and associate publisher of Zion's Herald. He has co-written or co-edited eleven books including, Reflections on Marriage and Spiritual Growth (Abingdon, 2003), Counseling Survivors of Traumatic Events (Abingdon, 2003) and Reflections on Grief and Spiritual Growth (Abingdon, 2005). Nicole R. Seibert, B. A. a United Methodist, is an instructor of Sociology at Alfred State College in upstate New York. She researches a variety of topics including right-wing politics, women's labor issues, NGOs, and globalization. Fred W. Kandeler, M.Div., D.D., is a retired United Methodist pastor affiliated with Travis Park UMC, San Antonio, Texas. His thirty-six years of ordained ministry included twenty-five in the North Texas Conference where he served ten years as founding pastor of Christ UMC, Plano, and as later as District Superintendent. His last eight years were served in the Central Texas Conference. Blumenthal, M. (2004). Avenging angel of the religious right. Retrieved on January 6, 2004, http://archive.salon.com/news/feature/2004/01/06/ahmanson/index.html. Carter, K.L. (2005). Personal communication. Martin Luther King Day, March 17, 2005. Confessing Movement Speakers Bureau. (2004). Retrieved on December 30, 2004, http://www.confessingumc.org/speakers.html. Dicken, M. (1998). A Pastoral Response to the Jury's Verdict Delivered at Edwardsville United Methodist Church, Georgetown, Indiana, Sunday, March 15, 1998. Retrieved on December 30, 2004, http://www.confessingumc.org/sermon_dicken.html. Dicken, M., Field, S., Granger, P., and Lambrecht, T. (2004). Options for the Future, With Some Strategic Implications, Summer 2004. Retrieved on December 30, 2004, http://www.nicvoice.org/GC2004%20Updates56.htm. Eckstrom, K. (2004). Protestants: Gay issues will dominate Methodists' agenda. Religion News Service, April 24, 2004. Retrieved on December 29, 2004, http://www.dfw.com/mld/pioneerpress/living/religion/8504324.htm?1c. Field, S. (2004). Good News at General Conference faithful disciples -- a renewed church (Jan/Feb). Retrieved on December 31, 2004, http://www.goodnewsmag.org/magazine/1JanFeb/jf04position.htm. Good News Editorial Team. (2004). The UM Decision 2004 team effort. Retrieved on December 30, 2004, http://www.goodnewsmag.org/magazine/3MayJune/mj04team_effort.htm. Goodstein, L. and Kirkpatrick, D.D. (2004). Conservative Group Amplifies Voice of Protestant Orthodoxy, New York Times, May 22, 2004, page 1. Henderson, B. (2003). The United Methodist ministerial education fund. >From the Perkins School of Theology Alumni Association. Retrieved on December 2, 2003, from http://www.NWHillsUMC.org. Howell, L. (2003). United Methodism @ Risk: A wake up call. Kingston, NY: Information Project for United Methodists. Howell, L. (1995). Funding the war of ideas: A report to the United Church Board for Homeland Ministries. Cleveland, OH: United Church Board for Homeland Ministries. Institute on Religion and Democracy. (2001). Institute on Religion and Democracy's reforming America's churches project: 2001-2004, executive summary. Retrieved on September 30, 2003, http://www.theocracywatch.org/internal_document_ird.html. Institute on Religion and Democracy. (2004). A Reform Agenda for United Methodists. Retrieved on December 31, 2004, http://www.ird-renew.org/About/AboutList.cfm?c=27. Media Transparency. (2004). The Money behind the media. Institute on Religion and Democracy, Inc. Retrieved on December 31, 2004, http://www.mediatransparency.org/about.htm. Northern Illinois Conference of the United Methodist Church (1998-2003). Chicago, IL. : Journal. People for the American Way. (2001). Colorado-Hostile Climate, Denver: Institute on Religion and Democracy attacks liberal seminary, Retrieved on December 30, 2004, http://www.pfaw.org/pfaw/general/default.aspx?oid=3601#. Robinson, B.A. (2002). Christian reconstructionism,dominion theology, and theonomy. Ontario Consultants on Religious Tolerance. Retrieved on November 14, 2003, from www.religioustolerance.org. Rutledge, K.K. (2004). Pondering a Divorce: Some United Methodists think their differences are irreconcilable, Christianity Today, July, 48(7), 50. Shupe, A. (1989). The Reconstructionist Movement on the New Christian Right. Christian Century, October 4, 1989, pp. 880-882. Smith, M. (2004). Institute of Hate, San Francisco Weekly, February 25, 2004. Swomley, J. M. (1996). Covert ops, Christian-style - former CIA operative Mark Tooley now works for the religious right. Humanist, Retrieved on December 30, 2004, http://www.findarticles.com/p/articles/mi_m1374/is_n4_v56/ai_18501023. Tooley, M. (2004). IRD Urges "Gracious Exit" from United Methodism for Pro-"Gay" Advocates. Retrieved on December 30, 2004, http://www.ird-renew.org/News/News.cfm?ID=970&c=3. UMACTION. (2003). Links to the writings of Mark Tooley. United Methodists Affirming Christ's Teachings in our Nation. Retrieved on October 8, 2003, from http://umaction.org/index.htm. Weaver, A.J., and Seibert, N. (2004a) "Follow the Money: The well heeled attack on The United Methodist Church" Zion's Herald. (Jan/Feb, 2004). This can be found online at http://www.zionsherald.org/Jan2004_specialreport.html. Weaver, A.J. and Seibert, N. (2004b) "Church and Scaife, Secular conservative philanthropies waging unethical campaign to take over United Methodist Church." Mediatransparency.org, August 2, 2004. Retrieved on December 30, 2004, http://www.mediatransparency.org/stories/irdi.html. Wheatland Salem United Methodist Church. (2004).Naperville, IL. Check out Wheatland Salem Church [Faith Promise]. Retrieved on December 30, 2004, http://www.wheatlandsalem.org/missions/faith_promise.htm.